I am getting ready to see my new nephew this weekend and decided to make a personalized keepsake box for him using an ordinary gift box. This is an inexpensive and fun way to create a beautiful and thoughtful gift. First, I created this print using picmonkey. Summer means my kids are home and begging for fun things to do. We keep busy with the regular routines of swimming, planing at the park, packing picnics, and bike riding, but every now and then we like to surprise them with something a little more... well epic. Last week we surprised our kids with an epic three day play date. They had no idea they were about to board a plane and head to Orlando, Florida. An hour before our trip we shared the fun news! There was screaming and lots of excitement. They both loved the plane ride and view of the clouds. I still think they had no idea how much fun the next three days were going to be! Day 1 of Florida fun included visiting Sea World. We were all memorized by the dolphin show and the divers. The boys both won sharks and carried them around the entire trip. Day 2 we spent visiting Disney. We made sure to indulge in lots of ice cream and ice water to beat the heat. We all loved the parades, rides, food, and pure magic of being at the happiest place on earth. Our last day we just enjoyed family time swimming and visiting The Lego Store at Downtown Disney in the evening. There might have even been some create-your-own Light Sabers made that evening to celebrate a big 7th birthday. Having 3 days as a family in such a special place where you are allowed to engage and explore truly created an epic play date for us all (adults and kids) and memories that we will have forever. If you could plan an epic play date of your own, what you would do? Would you travel or plan something near home? Would it be an outdoor or an indoor activity? Would you bring or buy special foods? Would you craft? Bake? Head to the beach? Well, Hyundai Santa Fe pondered the same questions and pulled together one seriously epic playdate with the help of some great bloggers. The whole purpose behind the event was to create cool family experiences out of the norm of our regular routines. 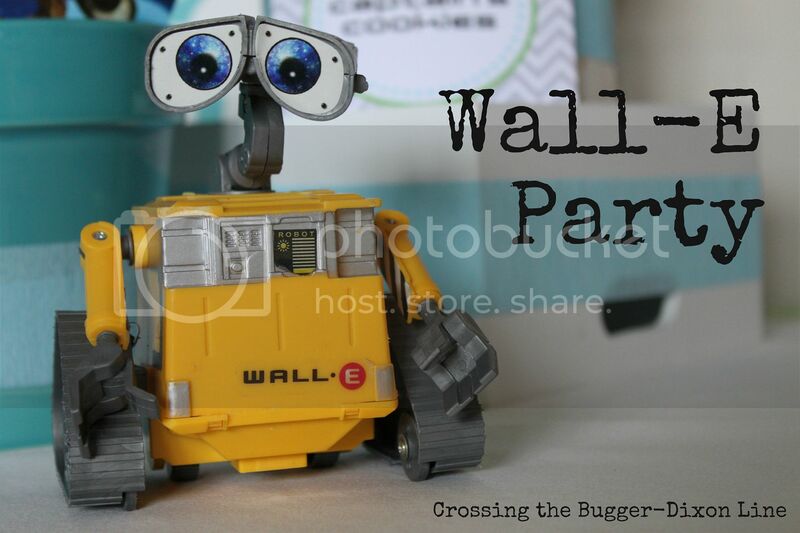 Curious about what the bloggers did at this epic playdate? They all shared videos and posts about the event. One of my all time favorite bloggers is Jordan from Oh Happy Day. She shared a post about the event here. There's even a video of Jordan zip lining from tree to tree in the Redwoods!! Hope this has inspired you to think epic and get play dating with your family! Happy Monday! You are in for a treat today. Shabby Apple has graciously offered to giveaway a $50 gift card to one of my wonderful readers over on Craft That Party. You might have already heard me talk about Shabby Apple before - they are an online dress boutique that specializes in vintage and retro dresses. I LOVE their clothes and currently have 3 of their dresses (Sierra, L'Opera, and Gondola) hanging in my closet. Enter the $50 Shabby Apple Giveaway here! Rules: This promotion is in no way sponsored, endorsed or administered by, or associated with, Facebook. We hereby release Facebook of any liability. The winner will be selected by Rafflecopter and will have 48 hours to respond to our notification email before another winner is selected. This giveaway is open to US residents only. Good Luck! You are Invited to the Ultimate Summer Pinterest Party! 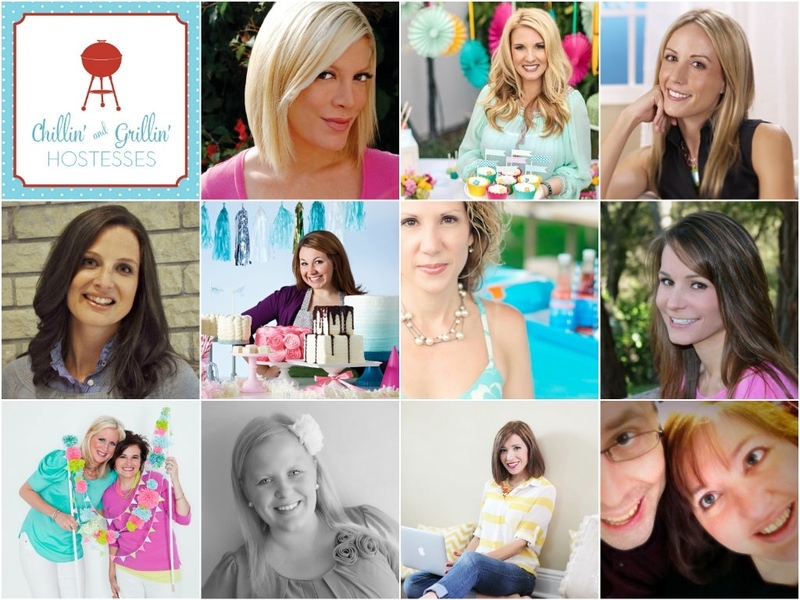 I am so excited to be teaming up with Jenny Raulli from Bloom Designs Online for Chillin' and Grillin', the ultimate summer Pinterest party happening this Wednesday, May 22nd at 9pm EST/6pm PST. We have enlisted the help of DIYer/actress/momista, Tori Spelling and some amazing party bloggers/stylists to bring you the best summer entertaining ideas. We will also be giving away some fabulous prizes during the hour. We are ready to kick off summer. Come join us! Join us Wednesday, May 22 at 9pm EST/6pm PST and watch our hostesses pin their favorite summer entertaining ideas. 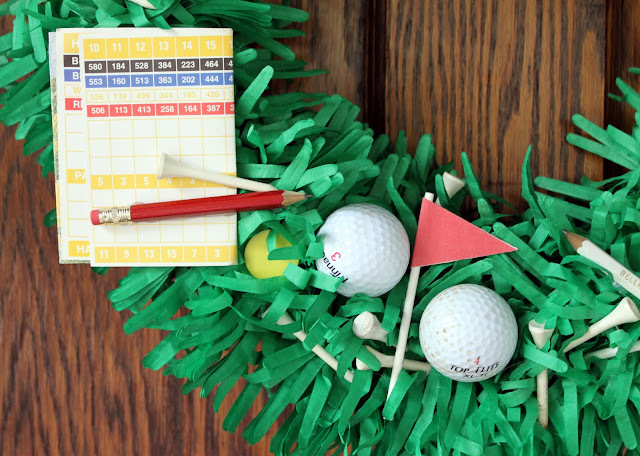 We hope you will re-pin your favorite ideas, add comments, and look for special prize pins! Prizes will be pinned during the hour. Click on the prize pins and you will be taken to the site to enter a Rafflecopter drawing. Big News... and YOU Are Invited! 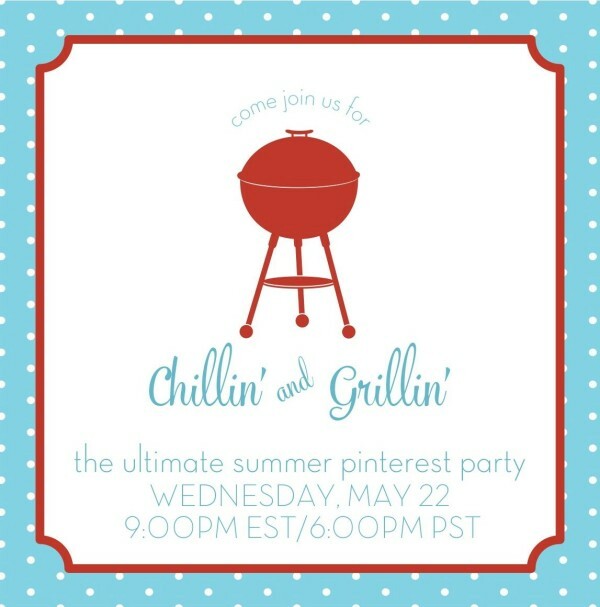 You are invited to kick off summer with us in style at a Chillin' and Grillin' Pinterest Party, Wednesday, May 22 9pm EST/6pm PST. Jenny from Bloom Designs and I are so excited to put together this 1 hour event with some top bloggers and very special guest pinner. We will be sharing more details this week, so stay tuned for a BIG announcement you will not want to miss!!!! My youngest just turned five and we celebrated with a goldfish themed birthday party. 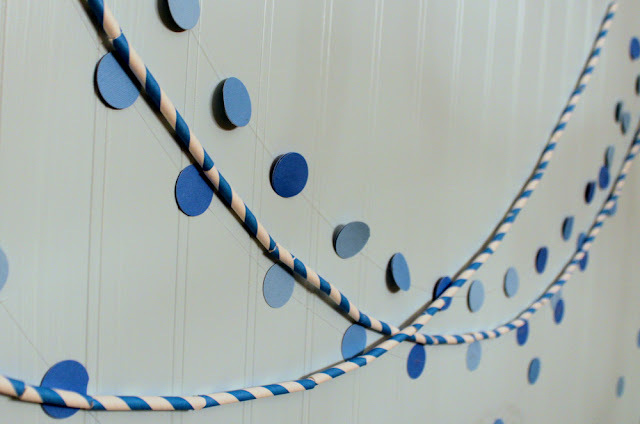 Hope you will check out the full post over on Craft That Party. Sitterati is a brand new app that helps you find, contact, schedule, and pay your sitters. Don't worry, I'll explain the steps. First, download the app and plug in your information. You can add your all your sitters directly to the app- it's like having big contact list of your sitters all in one place. Once your sitter accepts the request to join, sitters can accept babysitting jobs from people they know, keep track of the jobs they have agreed to do, and even get paid for jobs right through the app. Once friends within your social network download Sitterati, they can share their sitters on the app as well. This will give you all access to a bigger list of sitters available in your area. Need a Sitter for Saturday night? No problem, just post the job and send it to all your sitters at once. It's easy to book right from the app! Just enter information such as date, start time, end time, details, and sitter rate. If a sitter would like to accept the job they can respond through the app and confirm the job. So much easier than having to make multiple phone calls or texts. My favorite feature of Sitterati is that you can automatically PAY your sitters through the app with your credit card. No more running to the ATM for cash and NO awkward exchanges of money! You are lucky to be the very first people to learn about and get to try this brand new app. So Sitterati wants to hear from you! Once you have tried the app, they would love your feedback. They want to make this a truly useful and beneficial app for both the parents and sitters. So if you've tried it and liked it or see ways to improve it, the Sitterati team wants to know. Hope you enjoy this new app & cheers to more date nights! In case you missed my lastest post over on my new site Craft That Party, I am sharing how I used butterfly wings found in Michael's Dollar Bins to make Rainbow Peg Fairies! How psyched was I when Aunt Jemima sent over some new products for my family to try? We really love breakfast in our house. We love it so much that we often save our favorite breakfast foods for dinner. Yes, hello BRINNER- anyone else do this?!!! Dinner is the only meal that all four of us eat together daily, so I try to make it as special as I can. Last night's dinner consisted of Aunt Jemima buttermilk pancakes, cinnamon french toast, fresh blueberry sauce, strawberries, and sausages. No joke, it took me longer to make the coffee than dinner. I just popped the french toast in the toaster over and the pancakes in the microwave. In less than a minute the food was on the table. I have to admit that I was very surprised how fresh everything looked and smelled. My entire house smelled exactly the way it does when I spend an HOUR making pancakes for brinner. I think that it totally helps that Aunt Jemima uses quality, real ingredients like eggs, milk, and sugar - exactly the same ingredients as I use in my own. It really lives up to the slogan "Every batch made from scratch". My family gave Aunt Jemima two thumbs up! Everyone quietly devoured the meal and then begged for more. I cut my 6 year old off after 5 pancakes (growth spurt?!!!). In fact, the boys requested pancakes again before school this morning! I love that our busy family can still have time for a hot meal before leaving the house. It feels good to send my boys to school knowing they had a hearty breakfast. Score one for mom! Got toddlers in your house? Aunt Jemima also makes Lil' Griddles that offer a big breakfast taste, yet bite-sized. Perfect for little eaters. They come in three bite-sized breakfast options: Aunt Jemima frozen Blueberry Mini pancakes, Aunt Jemima frozen Mini pancakes, and Aunt Jemima frozen Cinnamon French Toast Sticks. I have a feeling we will be trying all three soon! I have two very energetic and outdoorsy boys. Time outside to play and get dirty is a necessary part of each day. We love it when we can plan extra special and extended playdates on the weekend. Our favorite weekend plans include packing up the bikes, fishing gear, picnic lunch, snacks, and drinks and hitting the road. Usually we head out to find a nice spot to ride bikes and do a little hiking. We enjoy a picnic lunch followed by some fishing in a nearby creek. There is nothing better than turning off our cell phones and surrounding ourselves in nature for an afternoon. an ice cream sundae bar? If any of those sound appealing to your kids and inner playdate-loving self, then you would be the perfect family to win a four-pack of tickets to an exclusive invite-only Epic Playdate Weekend in Santa Barbara, CA on April 27 from 9am- 5pm hosted by Hyundai. Hyundai has teamed up with some seriously fun bloggers (such as Dooce, Mighty Girl, Oh Happy Day, Oh Joy, Say Yes To Hoboken, Girls Gone Child, BoingBoing, and How To Be A Dad) to put on this Epic Playdate! Want to come? Of course you do! You can enter to WIN a trip for four to Hyundai’s Epic Playdate Weekend by entering the sweepstakes HERE! Lastly, keep your fingers & toes crossed and message me immediately if you win! Good Luck and Happy Entering!! !